Do your windows need cleaning? Do you have to do this on your own? No, you don’t. All you have to do is give our window cleaners in Maida Vale W9 a try. They will come to your home on any day from Monday to Sunday, bringing a few cleaning tools, and restore the shine to your windows. Your home will be shinier than ever. We can give your windows that glossy appearance they had in the beginning. You will be impressed. We think you ought to give us a try. Pick up the phone and give us a go. Hire our company with the confidence that you will be given the most professional service in the area. We utilise modern equipment that’s very efficient. But we also have skills and cleaning techniques that work miracles. We have many qualities. We put customers first, hence, our goal is to get all your needs accommodated. We will go above and beyond to have your satisfied. Thanks to our prolonged experience, we have the know-how to clean awkward areas and deal with the most difficult stains. 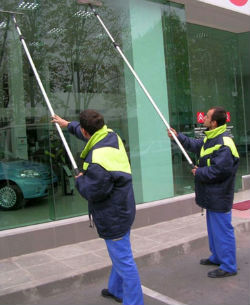 Throughout the years we have discovered great solutions for window cleaning. We use an innovative approach and reliable methods. We know that they work every time. In addition, our windows cleaners in Maida Vale W9 are highly-trained, super qualified and very dedicated to their jobs. You will be glad you chose them. They will work incessantly until they make your windows sparkling. Our work schedule is convenient. We are open 7 days a week. No days off. We will accommodate your needs at a time convenient for you. We promise that the outcome will be worth it. Be sure to call us today.